The media’s regular chronicling of human resilience in the aftermath of natural disasters and large-scale violent conflicts cover only part of story. As inspiring as tales of individual heroism, resistance and resilience can be, they provide little guidance for public policy aiming to strengthen social ties within damaged communities, in which safety nets need to be created to work both preventatively and post-victimization. 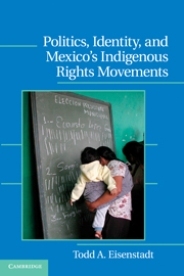 Supported by a field research grant from the Social Science Research Council’s Drugs, Security and Democracy Program (DSD) and working jointly with a team of researchers based at the Universidad Autónoma de Ciudad Juárez, this writer recently spent four months on the U.S.-Mexico border to answer this question. Members of 320 randomly sampled households in Ciudad Juárez were interviewed about their knowledge of non-violent collective action during the past five years. Overall, the findings provide hope that Juárez’s social fabric has not suffered as badly as is widely claimed, but both Mexican and international policy-makers need to understand the nature of collective resilience before they can effectively support it. 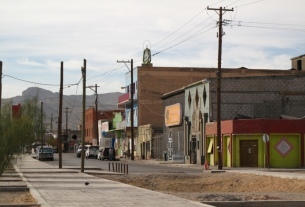 Juárez no longer tops the world’s ranking of most violent cities per capita, as it did in 2010 and 2011, although organized violence continues to wreak havoc, exemplified by 30-60 murders per month. Analysts agree that the downward trend is less the result of concerted government action and more a reflection of a reshuffling – likely temporary – of power structures within the transnational drug business. Strikingly, most survey respondents argued that neighborly help had not decreased during the violent times. Roughly a quarter even argued that residents’ willingness to help each other had in fact increased, mainly because people felt more united amid the terror. Many people reported knowledge of collective street monitoring, peaceful marches, protests and public vigils, with between 5 and 8 percent saying they have actively participated in them. For those residents, violence was not an abstract phenomenon; more than 30 percent reported personally knowing someone who had been murdered, and just under 20 percent had themselves been victims of violent crimes. Surprisingly, almost two-thirds said they had not lost trust in local politicians and that they would vote for candidates promising to combat violence. 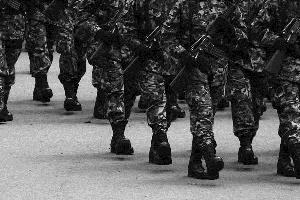 These findings serve as reminders of the political dimension of resilience in the context of chronic violence, implying that there are important local collective dynamics that can be leveraged through responsive and accountable political representation. They also suggest that policymakers at all levels need to be mindful of the existence and potential of collective agency under extremely adverse conditions. The violence in border cities created an opportunity for forging a civic compact between entities of the state on the one hand and neighborhood residents on the other, to mend frail ties between the electorate and its representatives. This kind of deliberate state-building at the local level is precisely what Mexico needs in the aftermath of former President Calderón’s heavy-handed and, as many have claimed, detrimental strategy emphasizing federal-level and military-led programs and operations. President Peña Nieto and his cabinet appear likely to embrace a local approach to increasing security as it complements his commitment to improving social services especially in secondary cities. However, the most critical building block for effectively executing such a civic compact is a politically unbiased, data-driven selection of beneficiary communities and their needs. Akin to approaches to civic reconstruction in war-torn countries such as Afghanistan and Iraq, communities should be in the driver’s seat in both project selection and monitoring. After all, state-building is as much about procedural inclusion and justice as it is about tangible outcomes. Dr. Esser teaches international development at American University’s School of International Service. Click here for more information about this project. Photo by: World Economic Forum via Flickr, using a Creative Commons license. 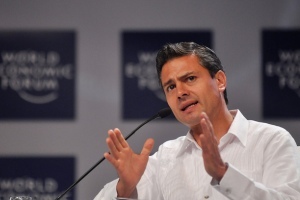 Compared to the weight of Mexico’s problems, the campaign has been light on issues. Both the PAN and PRI have made vague pledges of continued cooperation with the United States in efforts against the drug cartels. 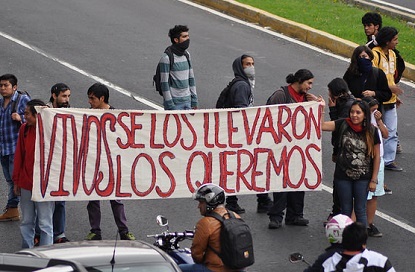 While current President Calderón’s approach to drug-related violence has resulted in no discernible improvement in security – indeed, some 60,000 people have died since he launched his military-intensive strategy – both Peña Nieto and Vázquez Mota have pledged to triple the Federal police (Vázquez) and create a paramilitary gendarmerie of 40,000 (Peña). López Obrador has focused on jobs, services, and social issues. Whoever wins the election, Mexico-U.S. relations do not appear likely to return to the mutual suspicion and tension of years past. Neither of the three main parties seems overly dependent on nationalism – and anti-gringoism – for political support. But the bloom is certainly off the much-vaunted U.S.-Mexico “co-responsibility” in the struggle against the cartels, and the next Mexican president almost surely is going to press for an end to the bad deal Mexico gets in the relationship – the U.S. provides guns and intelligence, and tens of thousands of Mexicans die as drugs flow to eager American consumers. Calderón’s successor probably will press Washington to prosecute the “war on drugs” in the United States, where the cartels’ footprint is huge, their operations are audacious, and they freely buy thousands of weapons smuggled southbound to kill Mexicans. Whichever candidate is elected to the U.S. Presidency in November, next year will be a watershed during which the U.S. can either demonstrate a consequential commitment to co-responsibility – by pursuing the cartels in the United States and stanching the flow of guns and bulk cash into Mexico – or Calderon’s successor will unilaterally curtail cooperation.